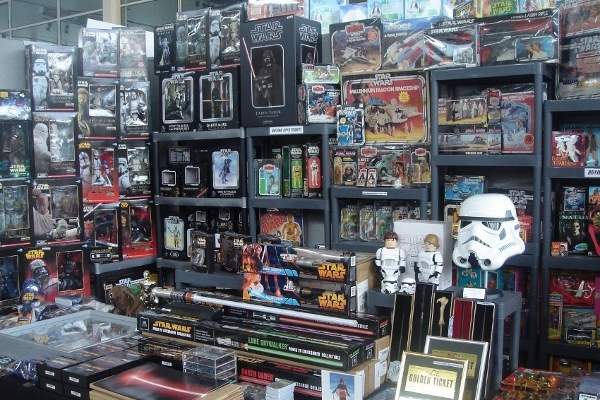 Darren Simpson has been collecting Star Wars memorabilia since it first hit the shops and his passion and enthusiasm evolved into a business and StarZone Toys was established in 1991. His extensive private collection ranges from pencil cases to movie props with a focus on items released in the UK. A few items from the collection can be found on the website and this will be updated on a monthly basis. Specialising in vintage and modern Star Wars toys and collectables we also offer a full range of other film and tv related memorabilia. As collectors ourselves we understand your needs and pride ourselves on excellent customer service. As well as online sales we can be found at all the major shows including Collectormania (Milton Keynes, London and Glasgow), London Film & Comic Con, Memorabilia and Celebrations.